Have you fallin’ in love with tarragon yet? If not, you’ve probably only had the dried version. But let me tell you— it deserves a place in your heart and kitchen. With its slight licorice flavor and hints of lemon, mint and basil— it’s a whole garden of flavor in one little herb. 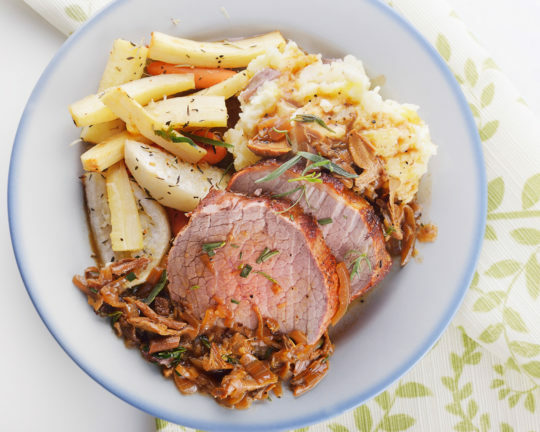 It’s delicious when prepared with fish, meat, soups, stews, tomatoes, and eggs! Sold at the peak of freshness. Our tarragon is grown and sold to be used right away for the best flavor. Triple the amount you would use for dry herbs and add just before serving. 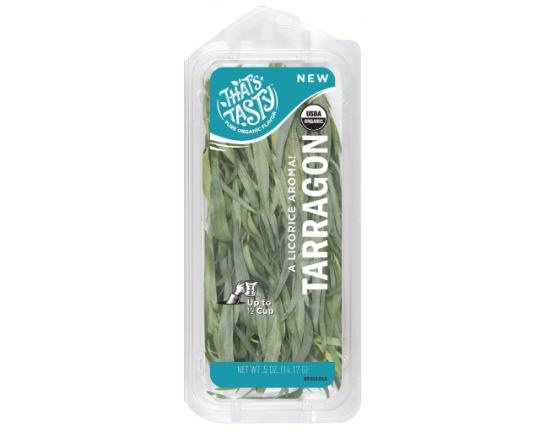 Tarragon is happiest inside its package, hanging out in your refrigerator drawer. Have extra tarragon? No problem. Try these fresh ideas for how to use it quickly. Make an infused olive oil. First let the tarragon wilt on a paper towel for a hour or two until it looks droopy and the water has come out. Place the herbs in a sterilized mason jar and top with a quality olive oil. Cover the herb by at least 1-2″ of oil. Place oil in sun and let infuse for 4-6 weeks. It’s great if you can shake the herbs in oil daily during this time. 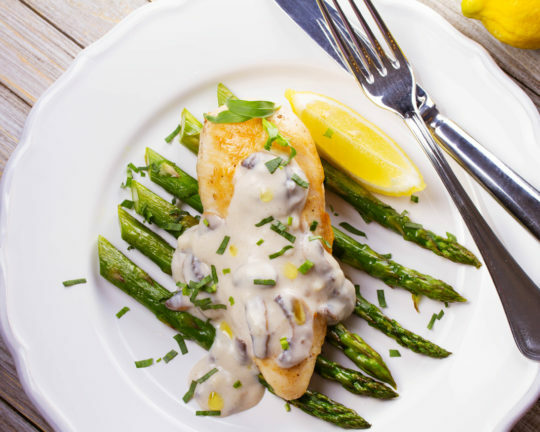 Then strain the herbs and place in a clean sterilized jar for use in salad dressing, in a marinade, topping fish… the possibilities are endless!